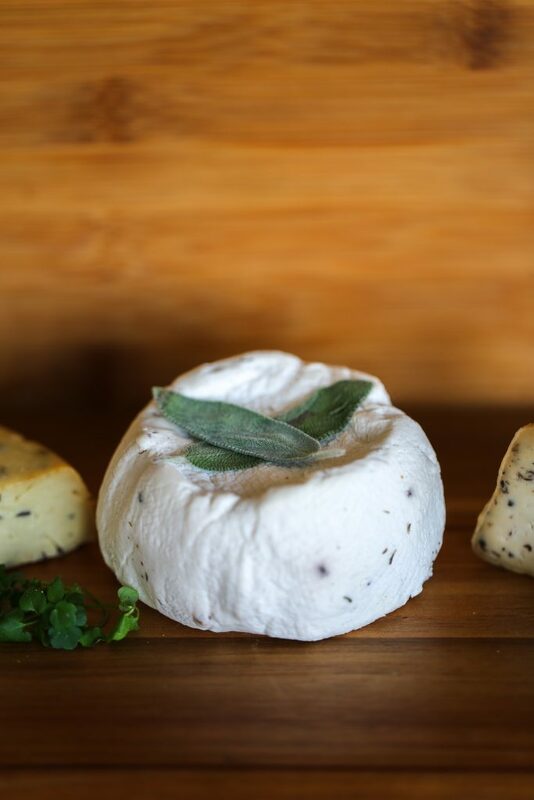 Join Chef Karen McAthy, founder of Blue Heron, and author of The Art of Plant-based Cheesemaking in learning how to make cultured, fresh, vegan cheese! This three class course (held over three days), is homework driven, focused on getting students to make their own vegan cheeses from growing cultures to easy aging techniques! The course is homework driven, with lecture/demo component. Students are asked to bring their ‘assignments’ back to the second and third classes for review, discussion and comparison. Students are asked to bring a notebook. Key starter cultures are included in the course price, and a Blue Heron Cheese tasting concludes the last day of the course. Each course day, Chef Karen will provide a cheesy snack, a fun way to highlight different ways vegan cheeses can be used. The last day of the course concludes with a plant-based cheese tasting of Blue Heron cheeses along with any of the cheeses students made and wish to share. Tickets for this class are $160 for a series of 3 sessions. Tickets sale ends the day before.